Situated in the far northeastern corner of the Napa Valley, our vineyards are located up the historic Old Toll Road and perched 1000 to 1500 feet above the valley floor. The property is, quite literally, in the clouds on the steep slopes of Mt. St. Helena just outside the town of Calistoga, California and defines the northeastern border of the Napa Valley. Along with one of the most unique mountain-side terroirs in Napa, the very best vineyard management and vintners, we have assembled a unique team of people to produce only the highest quality wine. 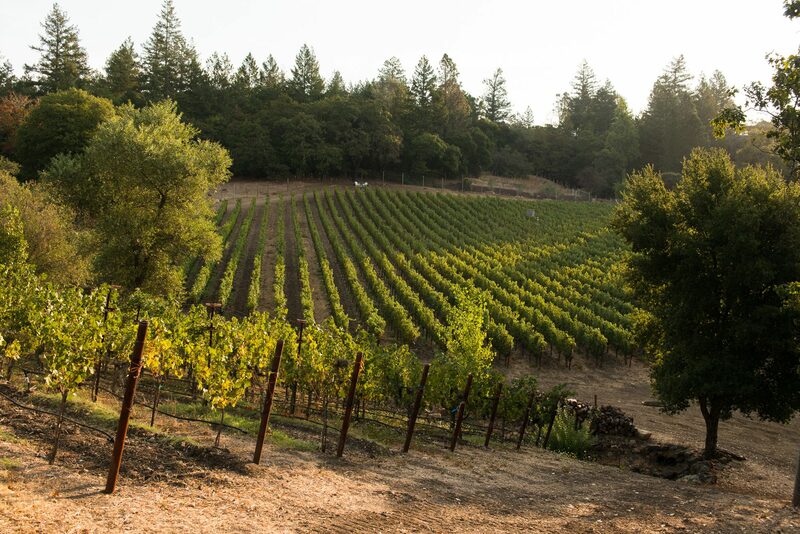 Reached by taking a rather harrowing three-mile trip up through the Palisades Range northeast of town, Knighton Family Vineyards sits atop Jericho Canyon, which is becoming known as an epicenter for premier Cabernet Sauvignon. Vintners, past and present, that have produced magnificent cabernets from the area include: Jericho Canyon Vineyards, Ramey Cellars, Rudd Winery, and Vineyard 29. Volcanic soils, perfect exposure and the mountain climate, all combine to provide a one-of-a-kind growing environment.